In over 25 years of human factors and root cause analysis study, I’ve learned a few things that everyone should know. I don’t keep these root cause “best practices” a secret, but you would think that I did. Why? Because I find so many “experts” and lay people alike who don’t understand what I see as obvious. So I thought, “Why not share the seven most important ‘secrets’ here?” Then I could explain how the secrets are incorporated into TapRooT®. 1. Your root cause analysis is only as good as the info you collect. 2. Your knowledge (or lack of it) can get in the way of a good root cause analysis. 3. You have to understand what happened before you can understand why it happened. 4. Interviews are NOT about asking questions. 5. You can’t solve all human performance problems with discipline, training, and procedures. 6. Often, people can’t see effective corrective actions even if they can find the root causes. 7. All investigations do NOT need to be created equal (but some investigation steps can’t be skipped). Most root cause systems operate as a “stand-alone” module. Information goes in and an answer comes out. They don’t help investigators collect accurate info. To make matters worse, some root cause tools actually start by developing a “hypothesis” and then collecting information to verify (or perhaps disprove) the hypothesis. Extensive research has proven that once an investigator becomes invested in a particular hypothesis, his/her brain automatically starts looking for “facts” to confirm the hypothesis and disregards “facts” that are counter to the hypothesis. The result? You find what you want to find. This is not a robust root cause analysis process. Copyright 2008 by System Improvements, Inc. Used by permission. TapRooT® takes a completely different approach to how a root cause analysis process is used in an investigation. In the TapRooT® 7-Step Process, the root cause analysis tools are used throughout the investigation to make every investigation phase, including information collection, more robust. The first tool from the TapRooT® Toolbox that helps an investigator collect info is the SnapCharT®. The investigator starts using this tool to organize the investigation and decide what evidence needs to be gathered and assigns a priority to securing evidence that might be lost. Your knowledge (or lack of it) can get in the way of a good root cause analysis. What? You think this is obvious? That’s OK. Many don’t recognize how this secret interferes with root cause analysis. Let’s start with a popular root cause myth: Cause & Effect. Many think they can use the theory of cause & effect to find root causes. They assume that an experienced investigator who has seen a cause produce an effect can use that knowledge to diagnose future problems by using his/her experience to deduce the complex causal links (cause & effect chain) of an accident. 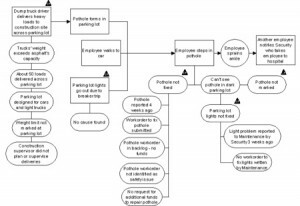 This theory is the basis for many root cause analysis tools like 5-Whys, Cause-and-Effect Analysis, and FMEA. An obvious problem with this theory is that inexperienced investigators don’t know many cause & effect relationships. They can’t find what they don’t know. Experienced investigators are often trapped by the same cause & effect assumption that traps amateurs. How? First, even the most experienced investigators don’t know all the cause & effect relationships that cause accidents. This is especially true of the causes of human error. 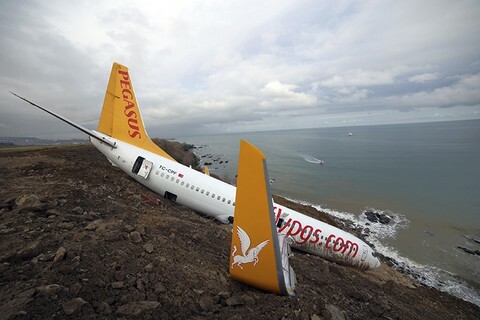 Many “experts” have little or no training or understanding of the psychology behind human error. To combat the lack of knowledge, they recommend putting together teams of investigators with the hope that someone on the team will see the right answer. Of course, this depends on team selection to counter the inherent weakness of the assumption behind cause & effect. Also, it assumes that the rest of the team will recognize the right answer when another team member suggests it. Good luck! More likely, the “strongest” member of the team will lead the team to arrive at the answers that he/she is experienced with. Experienced investigators often fall into the “favorite-cause-itis” trap. They use their experience to guide the investigation. This leads them to find cause & effect relationships that they are familiar with. Why? Because that is what they look for. They search for familiar patterns and disregard counter evidence. (The technical name for this phenomenon is “confirmation bias.”) The more experienced the investigator is … the more likely he/she is to fall into the trap. Exposing this secret doesn’t make me popular with experienced guru investigators. They don’t want to admit that they have the same weakness as inexperienced investigators when it comes to cause & effect analysis. They try to explain that they don’t have preconceived ideas about the cause of any accident. But of course, this statement flies in the face of the basis of cause & effect analysis – that experienced investigators know the cause & effect relationships of accidents and can recognize them during an investigation. How does TapRooT® overcome problems with “investigator knowledge”? Two ways. First, it keeps the investigation focused on “What happened?” while information is being collected. Because investigators don’t prematurely jump to finding causes, they are more likely to follow the evidence where it leads rather than following it where they want to go. The main tool they use for collecting evidence is the SnapCharT®. They also use Change Analysis, Equifactor®, and CHAP. This combination of advanced tools produces superior information to analyze. But the real magic behind TapRooT®’s root cause analysis is the Root Cause Tree®. The Root Cause Tree® takes the knowledge of hundreds of experts and makes it available to every investigator. (For the impressive list of sources used to build the tree, see Chapter 1 of the TapRooT® Book.) This knowledge doesn’t have to be in the investigator’s head because it is built into the Root Cause Tree® and the Root Cause Tree® Dictionary. Applying these systematic methods helps TapRooT® Users keep from jumping to conclusions. The organization of causation in the Root Cause Tree® not only came from many reliable, advanced, sources but also was reviewed, critiqued, and tested. Beyond that, there are over 20 years of feedback from the international base of TapRooT® Users and members of the TapRooT® Advisory Board. This makes the TapRooT® System a unique, advanced process for finding the real root causes of problems. You have to understand what happened before you can understand why it happened. Starting by asking “Why” is jumping to conclusions. And this can lead the investigator to find causes that they have jumped to because they didn’t first seek to understand. In the TapRooT® System, the first tool an investigator uses is a SnapCharT®. The SnapCharT® is a visual depiction of the evidence. It focuses the investigator on “What happened?” Any assumptions (not verified facts) are easily identified by their dashed boxes. The investigator then continues to look for more evidence to verify the assumptions or show a different, but also possible, sequence of events and conditions. The SnapCharT® is an evolving document. The TapRooT® Book and the TapRooT® Courses teach the different “seasons” of SnapCharT®s. Each season has a purpose, which determines the level of detail shown on the SnapCharT®. 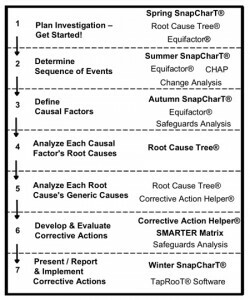 The Autumn SnapCharT® includes all the Causal Factors and evidence needed to find the incident’s root causes. Occasionally, an investigator will discover additional information when using the Root Cause Tree® to find root causes. This info needs to be added to the SnapCharT® to make it complete. Below is an Autumn SnapCharT®. Interviews are not about asking questions. “What?” you might say … “I’ve always been taught to ASK questions as an interviewer.” What about the “open ended and close ended questions” routine that is commonly taught in some root cause training? And what about asking “Why?” five times? I thought I had to ask questions during an interview? Let’s start with the popular 5-Why myth. Does the person answer with lots of information or with justification? The “Why” question turns off the “remembering” trail that we want the brain to go down and turns on the “justification” trail. After all, isn’t the purpose of an interview to collect information (not justification)? Next, let’s look at the whole process of “questioning” during an interview. If the purpose of an interview is to collect information, we should use a process that stimulates remembering. Not only did interruptions for questions cause problems, but also the questions being asked didn’t help stimulate remembering. Fisher and Geiselman came up with a new interviewing process called “cognitive interviewing” that helps the interviewer encourage the interviewee to remember much more and thus improve the amount of information collected. Another problem that was noted in Fisher and Geiselman’s research was that interviewees often tried to provide the interviewer with the “most important” information. They filtered what they told the interviewer. The interviewee didn’t understand that some detail that they thought was “unimportant” was something that the interviewer really needed. Because the interviewer didn’t know the detail, they couldn’t ask about it. Therefore, the information was lost. The TapRooT® 5-Day Advanced Root Cause Analysis Team Leader Course includes cognitive interviewing combined with the TapRooT® SnapCharT® technique to improve interviews. This shifts the interviews from a questioning to a listening process. The cognitive interviewing process encourages interviewees to share all the info they know by encouraging them to remember. Also, the interviewee is told to provide details no matter how small or unimportant. You can’t solve all human performance problems with discipline, training, and procedures. 1. Discipline. Which starts with the common corrective action: “Counsel the employee to be more careful when …”. 2. Training. This may be the most used (and misused) corrective action of all. 3. Procedures. If you don’t have one, write one. If you already have one, make it longer. The misuse of these three standard corrective actions is the reason that so many accident investigations don’t really cause performance to improve. They don’t solve the real problems. What do we need to get better results? First, better root cause analysis. Second, development of better corrective actions based on the root causes of the problems. And third, corrective actions that provide the strongest safeguards to future errors. TapRooT® provides the better root cause analysis and the Corrective Action Helper® Guide to help investigators develop better corrective actions. But the 2-Day, 3-Day, and 5-Day TapRooT® Classes also teach Safeguards Analysis to help investigators understand that all corrective actions are not created equal. Students learn that there is a hierarchy of potential corrective actions and that they should not just use the corrective actions that seem easiest to develop and implement. Rather, they should look for the strongest corrective actions that will ensure that a problem does not recur. Often, people can’t see effective corrective actions even if they can find the root causes. Why? Because they have performed the work the same way for so long that they can’t imagine another way to do it. I didn’t initially believe this. I thought that once someone saw the root cause of a problem, the answer would be obvious. But students in a course finally convinced me that I was wrong. Back in 1994, a team of students analyzed the root causes of a fairly simple incident. One of the root causes was that the valves being operated were not labeled. So far, so good. Tell operators to be more careful when operating valves without labels. They just couldn’t see that valves could be labeled. It was beyond their experience. That was the day I decided that we needed to do something different to help people see different corrective action alternatives. This revelation eventually lead to the development of the Corrective Action Helper® Module of the TapRooT® Software and the Corrective Action Helper® Guide that each participant gets in our 2-Day and 5-Day TapRooT® Courses. The Corrective Action Helper® Module/ Guide provides suggestions that can help investigators discover that there are other ways to solve problems beyond those of their experience. It does not guarantee that they will get the right answer but it does prod them in the right direction. Also, the Corrective Action Helper® Guide can be used by management to review the investigation team’s findings to see if they explored all the alternatives. (but some investigation steps can’t be skipped). I’ve seen people cringe when performing a root cause analysis of a problem is suggested. They think this means a team of selected experts spending months locked up in a room. After all, didn’t the CSB take three years and spend almost $3 million investigating the BP Texas City explosion? It’s true that some investigations may take too long and cost too much. But that doesn’t mean that every root cause analysis needs to take too long and cost too much. The hard part of responding appropriately is projecting the risk of the problem before the investigation starts. For example, sometimes an incident that seems quite simple can have complex causes that could, in different circumstances, cause a big accident. The TapRooT® System is flexible to accommodate any size risk. Use some techniques for every investigation. Others are just applied in major investigations. 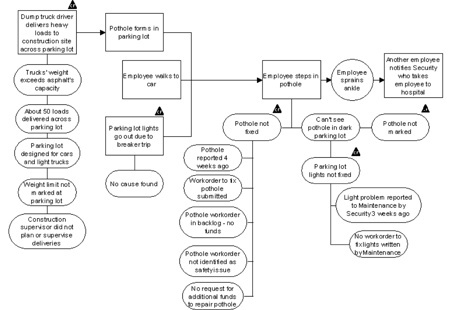 For simple incidents, a single investigator draws a simple SnapCharT® of the sequence of events and identifies one to three easy to spot Causal Factors. They can do this working with those involved in a couple of interviews. Just one or two hours total. Drawing a SnapCharT® is required because you have to understand what happened before you can find out why it happened. What if management says that half a day is “too long”? After all, couldn’t you ask “Why” five times in about five minutes and then suggest a corrective action? Of course, you could. But that isn’t root cause analysis. That’s just taking a guess and going with it. Some small problems don’t deserve root cause analysis. Don’t waste time implementing poorly thought out corrective actions. Just categorize the problem and repair the failure. Paper cuts can’t cause fatalities. The big accidents? Go all out. A full-blown investigation team with an independent facilitator. 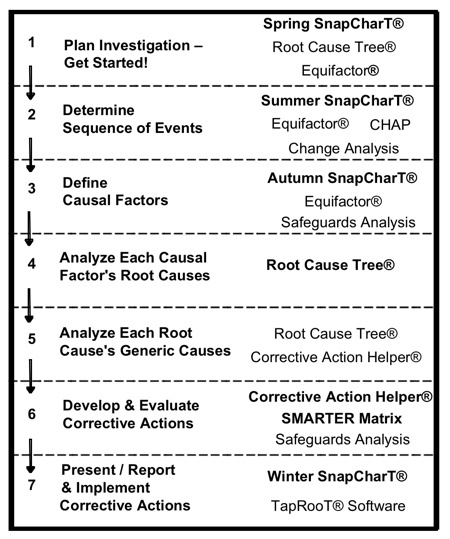 SnapCharT®, CHAP, Change Analysis, Equifactor®, Safeguard Analysis, and the Root Cause Tree®. Look for generic causes of each root cause. Then remove the hazard or target or change the human engineering of the system. Not the normal “training/ counseling” simple corrective actions. Something really effective at eliminating the root causes or the hazard. Something in between? A response in between. Don’t go overboard. Just do what you need based on the size of the problem. And if you discover that a problem is bigger than you thought, let management know and change the scope of the investigation. Now that you know the seven secrets, apply them in your investigations. The easiest way to do this is to apply TapRooT® as the standard incident investigation root cause analysis technology at your site. Start by attending one of our public TapRooT® Courses. Then get a site or corporate TapRooT® Software License and hold training at your sites. You’ll find the time (and lives) you save will be well worth the effort. Contact us for information by CLICKING HERE.